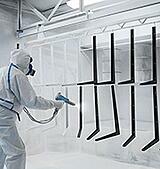 Most surface coating operations involve the application of paint with spray equipment inside a paint spray booth. Regenerative Thermal Oxidizers (RTOs) manage volatile organic compound (VOC) emissions for compliance with EPA pollution control standards. A spray booth is a ventilated work chamber for containing the spray application of a surface coating onto a work piece. The ventilating air is frequently heated or cooled and then drawn across the entire cross section of the booth as uniformly and free of turbulence as possible. The ventilating air entrains the overspray (wasted paint that forms a fine dust after failing to adhere to the work piece) and solvent vapors and carries them through the exhaust stack to the atmosphere. The application of these solvent based finishes, while improving product performance or extending product life, releases significant emissions of Volatile Organic Compounds (VOCs) and solids into the environment. VOCs react with nitrogen oxides (NOx) in the presence of sunlight to form ground level ozone and as such are regulated as an ozone precursor under EPA’s criteria pollutant program. Thermal oxidation is a widely used technique to eliminate the VOCs and other air pollutants from these processes. 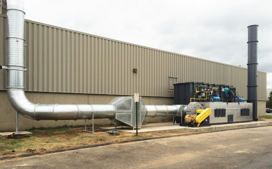 A Regenerative Thermal Oxidizer (RTO) is recognized as the most effective and cost-efficient way to thermally destroy the VOCs from these processes. During operation of the RTO the VOCs are ducted into one of the system’s regenerators, an internally insulated vessel containing specialized ceramic media which allows thermal rate efficiencies up to 97%. The contaminated gases are passed through the first regenerator where energy is transferred from the ceramic media to the gases in order to elevate the temperature of the gases. After reaching this elevated temperature which approaches the ignition level for most solvents, the gases are directed to the internally lined combustion chamber. In the combustion chamber minimal heat is added to ensure a proper oxidation temperature and designed dwell time and turbulence are maintained providing destruction of the VOCs at greater than 98% efficiency. The resultant clean, oxidized gases are redirected into the second regenerator bed to continue the energy transfer and oxidation cycle before being released to the atmosphere. 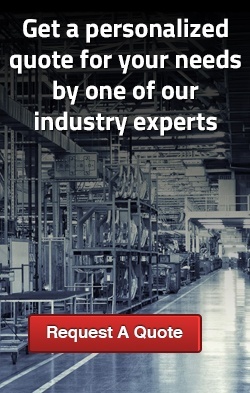 To learn more about VOCs, click here.